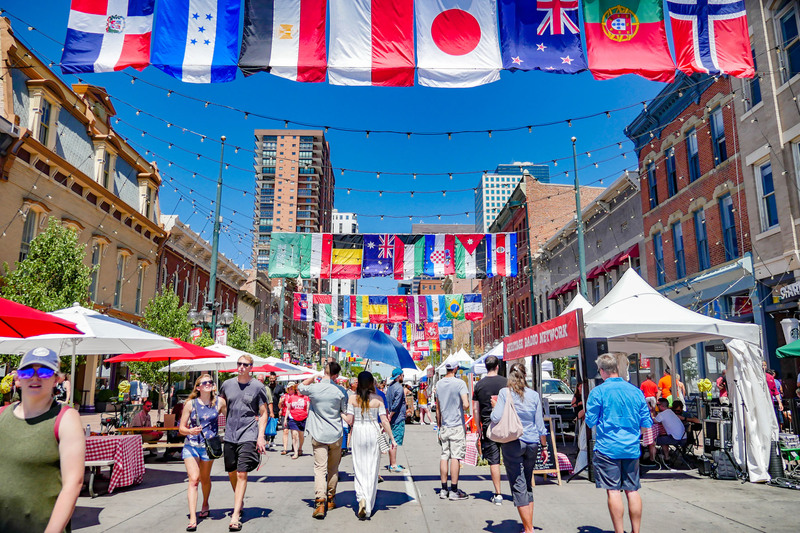 From July 13th-15th we packed up our beans and headed to Denver for an incredible weekend of food, friendship and flavor at the Slow Food Nations Festival. 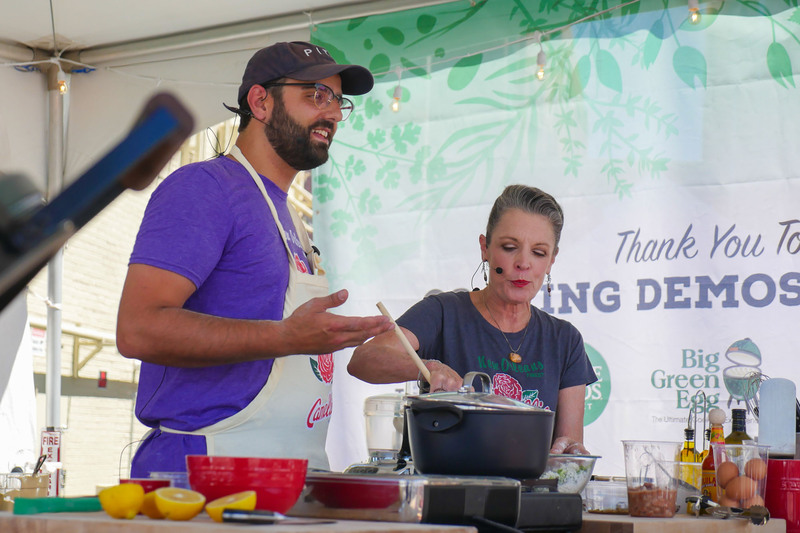 We gathered with nearly 200 notable chefs and speakers like Alon Shaya, Poppy Tooker, Rick Bayless, The Ya-Ka-Mein Lady -Linda Green, Mexican Chef Benedicta Alejo Vargas and 20,000 of our closest foodie friends to celebrate global food culture. 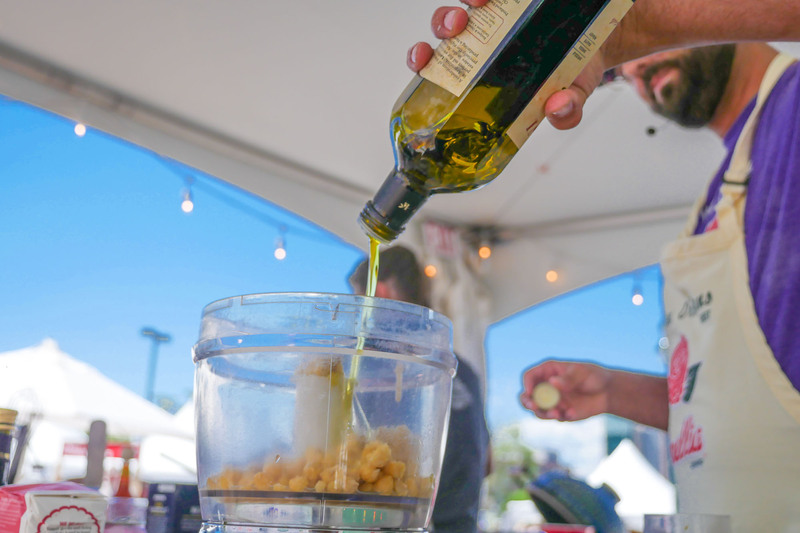 We kicked off the weekend with a Beans Around the World Demonstration at Larimer Square with Chef Alon Shaya and Louisiana Eats! Host, Poppy Tooker. They pair gave away Alon’s Classic Hummus recipe made with Camellia Garbanzo beans and Poppy’s delicious Cannellini Bean Muffalata Salad featuring our famous white kidney bean. 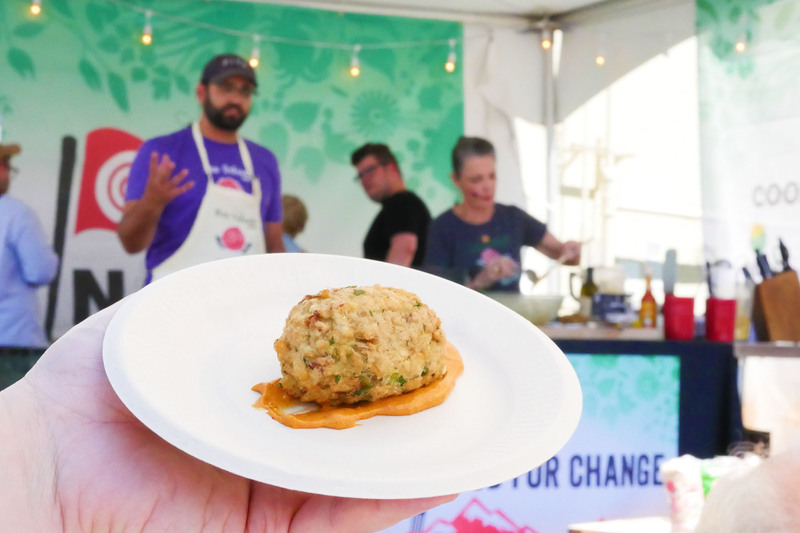 Then, they took the audience on taste tour of Israel with a taste of Hummus Ful and explored how new and old cultures collide with Pinto Bean Calas rice fritter to top it off. 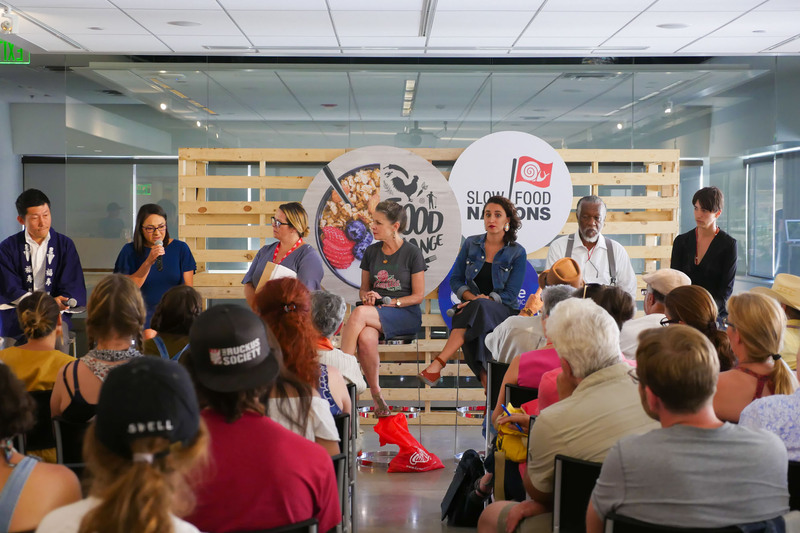 Then we headed to the When Disaster Strikes Summit to discuss the role food plays in the aftermath of a disaster and how that can shape lasting food traditions. 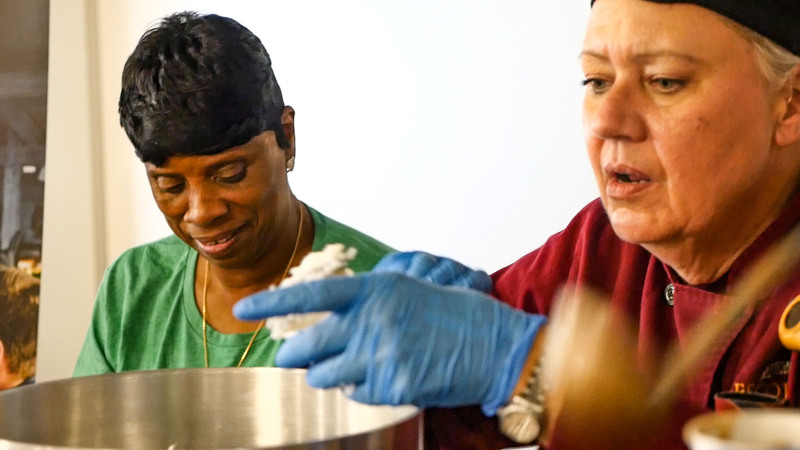 At the summit reception we also got the chance to taste some of the delicious red beans from soul food extraordinaire and New Orleanean favorite The Ya-Ka-Mein Lady, Linda Green alongside Comal Kitchen’s pinto bean dish. Later that evening it was time to let loose at the Global Street Food Social. We joined up with Fortuna Chocolate to serve up Camellia Pinto beans to accompany carnitas tacos. The tacos were wrapped in fresh handmade tortillas by Chef Benedicta Alejo Vargas. 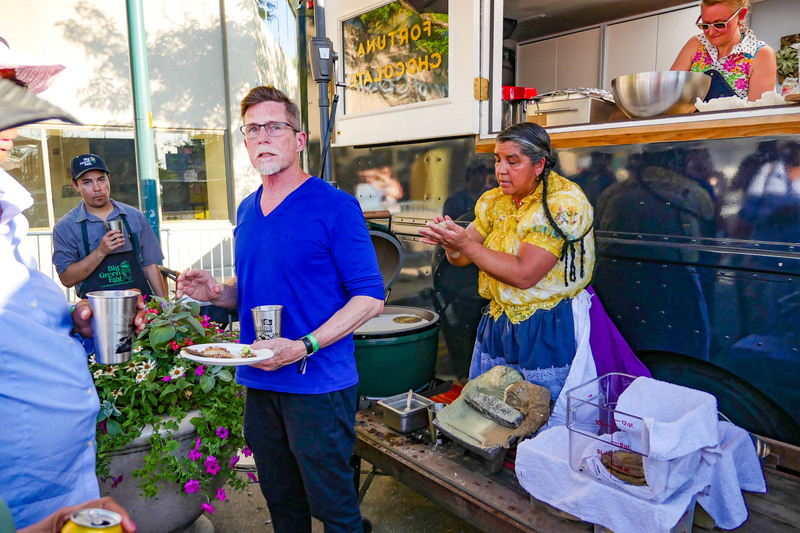 World renowned Mexican Food Expert, Chef Rick Bayless even stopped by to taste. For a detailed look at our involvement with Slow Food Nations and the event see our post here. And, to find out more about Slow Food global food movement visit the Slow Food Nations website for more information. We want to thank our ambassadors and Slow Food partners for an amazing weekend. We can’t wait to see what next year holds! All set to make @camelliabeans cannellini muffuletta salad w/ @rousesmarkets olive salad @slowfoodusa #slowfoodnations in DENVER! 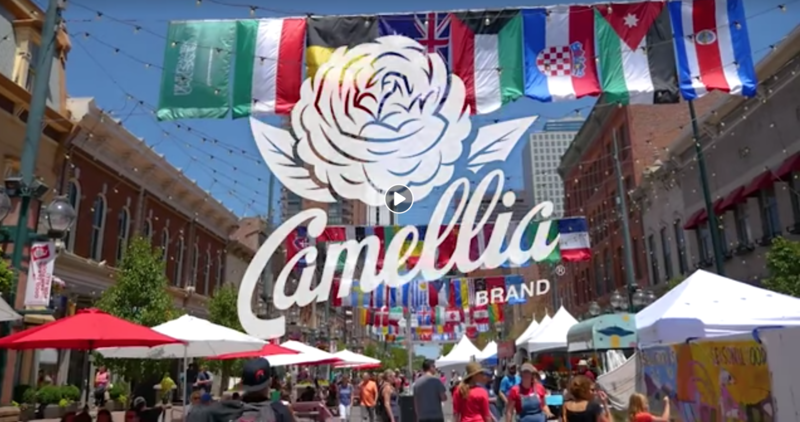 Getting ready to cook up some @camelliabeans #foodforchange w/ @alonshaya in Denver’s Larimer Square! We start cooking at 11 am. See you there!